documenting the journey of a vp sales at an early stage startup. There is something innately special about the thought of seeing a favorite artist or band play their hometown. Dylan in Minnesota. Bruce in Jersey. 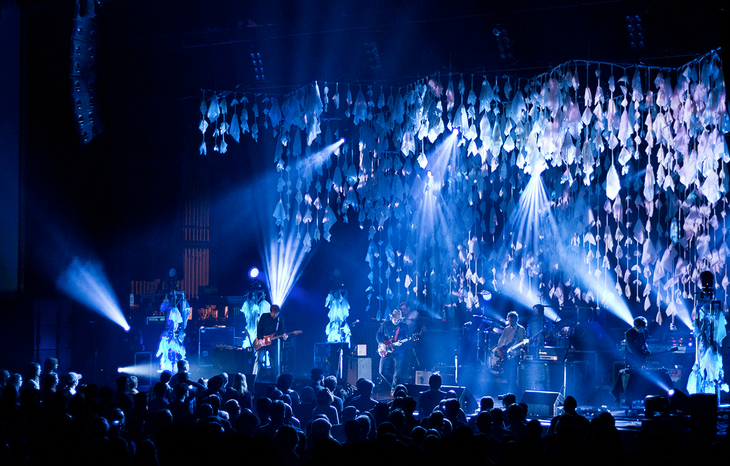 Wilco in Chicago. To see these guys perform where it all began, before all the hype and celebrity nearly guarantees a unique and powerful performance unlike any other. 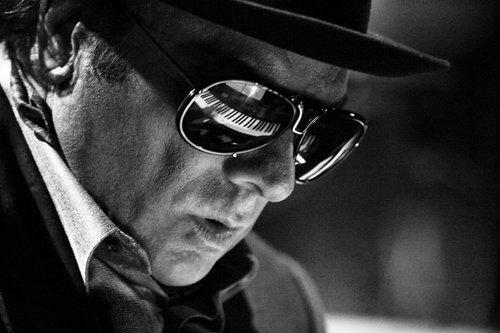 Van Morrison, having long been revered amongst the extended Kane and Fitzpatrick family, would easily fit in this camp. I have fond memories of listening to “Wild Night” on repeat while drinking Tahitian Treat by the case load and battling my brothers in NHL ’95 over and over again at my dad’s house nearly 20 years ago. He has since stayed on my short list of favorites through the years; with a more recent highlight being able to witness, along with 100,000+ of our closest friends, Morrison deliver a blistering set to close out the 2010 New Orleans Jazz Fest. So last week when I discovered Van was playing an intimate show in his hometown of Belfast, it was a no brainer: I was hopping a bus and heading north. What made this gig even more compelling was the venue of choice, the historic Europa Hotel. Known as the most bombed hotel in the world after suffering nearly 30 attacks during The Troubles, it has persevered through the years and is now a main tourist destination and top hotel for Belfast City. President and First Lady Clinton stayed here in 1995 and 1998 while working on the peace process in Northern Ireland. 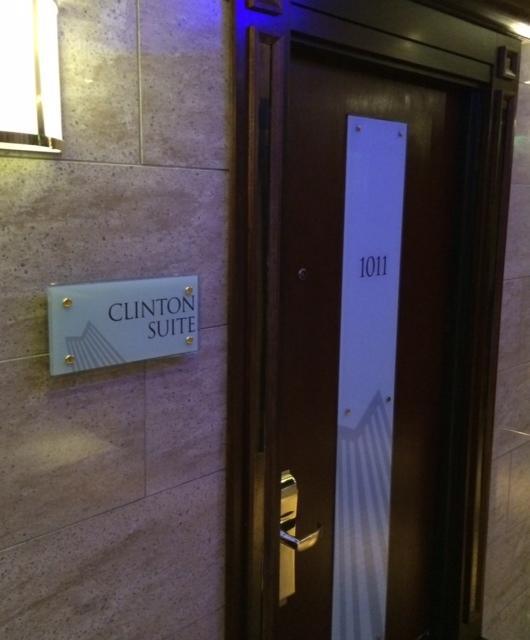 NOTE: I unsuccessfully tried to book into the Clinton Suite for my stay on Saturday night, although the fine folks at the front desk did put me just down the hall on the 10th floor. Maybe next time I’ll gain access to the Presidential Suite. After a five-hour journey with connecting busses from Galway to Dublin and Dublin to Belfast, I arrived at the Europa Hotel Saturday evening just in time for the pre show ballroom dinner. Yes, when you book a ticket to see Van Morrison in a 300-person room in the most famous hotel in his hometown, you get a full course meal and all you can drink wine before the show. Who says Van is a total curmudgeon? At my table were a great group from Belfast who had all seen similar shows from Van at least four or five times previously. They were pleasantly surprised to hear my story of why an American living in the West of Ireland decided to travel north for the night to see the show (when it was established that no one at the table was familiar with Pearl Jam or Wilco I decided to hold off on describing any of my other previous rock n roll pilgrimages) and remarked how they were fascinated by the amount of people they have met who travel from all over the world for a chance to see the legend play his hometown. The most bombed hotel in the world, the Europa. Moments after the final plate was cleared the band took the stage, launching into the instrumental “Celtic Swing,” with Van leading the way with his signature sax. Whether it was because it was a hometown show or just a lucky Saturday night, the crowd was treated to two hours of amazing music from one of the greatest musicians the world has ever known. With a songbook as rich as his to pull from, there was no sign of the massive chart topping hits that are played at karaoke bars every night the world over, and I don’t think the crowd would’ve had it any other way. If you told me some 20 years ago that one day I’d witness Van The Man perform in such an intimate and historic venue right in his own backyard, the word “surreal” would immediately come to mind. Last night confirmed it, a night I will not soon forget. P.S. 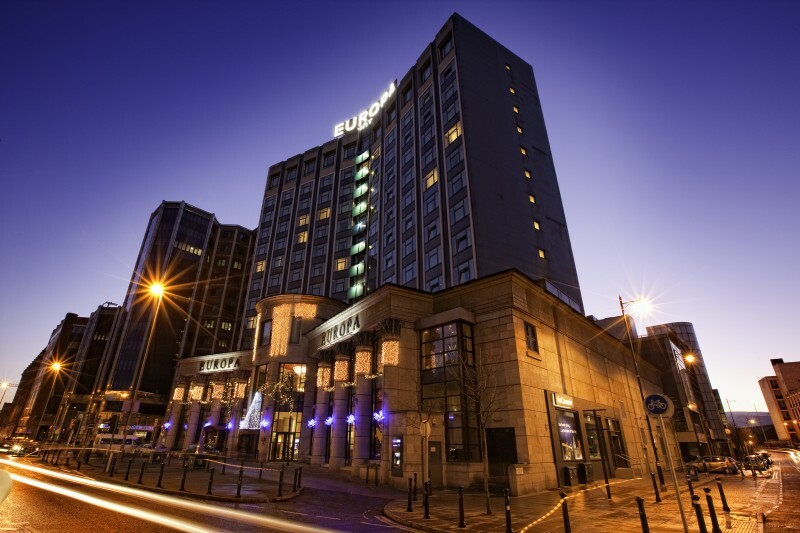 For you history buffs out there (looking at you Kev Murph and Dan Fitz) check out this BBC documentary on the history of the Europa Hotel during The Troubles. Fascinating stuff. We are officially past the incredible spell of September weather and into October. I woke up this morning to thunder, lighting, and a flood watch for Galway City. No matter what we are dealt over the next few months it won’t change the fact that the last six weeks have been absolutely gorgeous. Stunning weather for the beginning of fall in the west of Ireland. 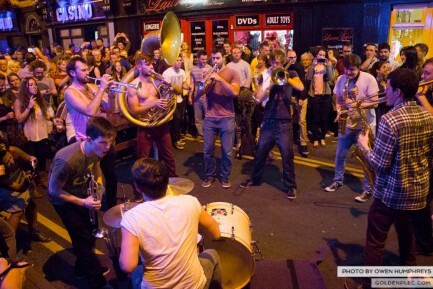 Here are a few updates on what we’ve been up to in Galway over the last month or so. I hope you and yours are enjoying the fall season, no matter where you are in the world. A highlight of last month, and really my entire time in Ireland thus far was having lunch with Boston Mayor Marty Walsh. I was fortunate enough to be invited by the IDA and NUI-Galway to help welcome the Mayor back to his parent’s hometown. Both from Connemara, about an hour outside Galway, Walsh’s parents immigrated separately to the States in the 1950s before meeting in the dance halls of Dorchester and getting married in Boston. Mayor Walsh was back in town to visit family and friends as well as take the opportunity to promote and discuss ways that Boston and Galway can collaborate more in today’s global tech economy. When asked what’s the biggest difference of coming back to Galway now as Mayor compared to the years coming over to visit family, the Mayor replied “It seems I have even more cousins now than I ever remember. Oh and people seem to want to take more pictures with me.” He also spent time with a group of BC college students who are on a semester abroad trip at NUIG. Unofficially dubbed “Galway’s Son” he couldn’t have been nicer and more engaging. I look forward to following his progress as the new leader of Boston over the next generation. 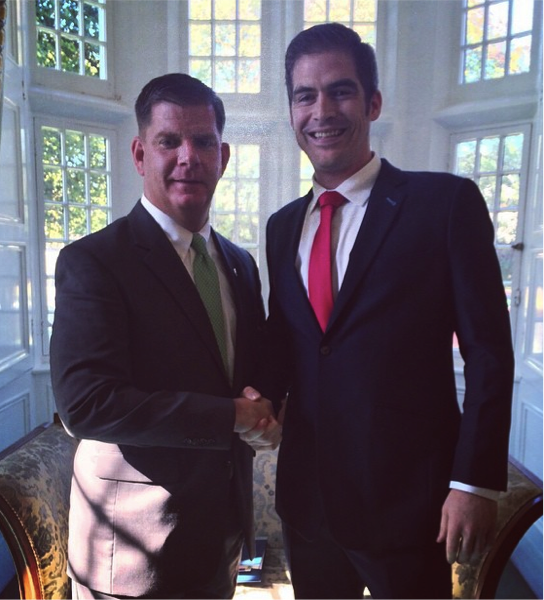 –editor in chief of mlkinire.com, welcoming Boston’s Mayor Marty Walsh back to Galway. At SmartBear EMEA HQ we are pressing forward towards some aggressive Q4 growth targets after finishing up our first quarter together as a team. Summer holiday season is officially over and our expanding customer base has joined us on the mad dash towards yearend. Amongst our growing team I am fascinated on a daily basis by an unintended dynamic. Something I didn’t foresee when hiring our first group was the unique cultural differences/rivalries between the different parts of Ireland. 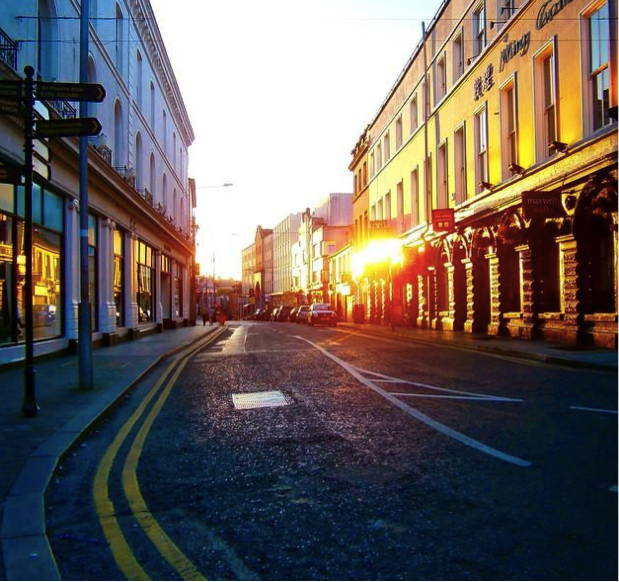 Of our current roster of 12 we list the following as birthplaces across the island: Galway (x4), Belfast, Mayo, and Limerick (in addition to Moscow, London, Stillwater, Glasgow, and Bangalore). Suffice it to say we are truly an international sales team, and there is a fair bit of “slagging” that goes on between the lads from Galway/Limerick/Mayo. Being a Minnesotan who survived six years in a Boston office, I can relate. Yer man – direct translation would be “that guy”. Example: “Do you see yer man over there, he was quite pissed.” I was thoroughly confused the first few times I heard it used in a sentence, and now catch myself using it frequently. G’won (go on)– best translation would be “step up” or “all you” in American slang. Used frequently went attempting to coax someone into a bet or a dare. Played a blinder of a game – American version would be “crushed it.” Saw this in an email today describing our new sales engineer’s first external presentation in front of 100+ software testers in Spain. Google told me he did well! Bye, bye, bye – quite simply, Irish don’t just say goodbye to finish a phone call. They say it a minimum of three times, and aren’t afraid to go for five or six if the situation calls for it. Lastly, here is your weekly dose of why Galway is one of the most incredible places on earth, shot during the International Oyster Festival last month by local filmmaker Hugh Sweeney. In case you were wondering, the offices of SmartBear are a two minute walk from where this video was shot. We are living the good life on Ireland’s west coast. 19 weeks. That’s how long it took since moving to Galway to have a genuine “I miss the good ol USA” moment. Of course since moving to Ireland I’ve missed friends and family, but with how connected we are to technology for the most part I don’t feel that far away. No, it took this past weekend’s Newport Folk Fest to really supply my first true #FOMO moment since picking up and moving across the pond this past spring. For the last several years I’ve travelled down to Newport, RI with friends on the last weekend of July to the little festival by the sea to join 10,000 other likeminded music lovers in a one of a kind festival. Through the years I’ve been able to witness incredible sets from Wilco, Alabama Shakes, My Morning Jacket, Dawes and so many more. 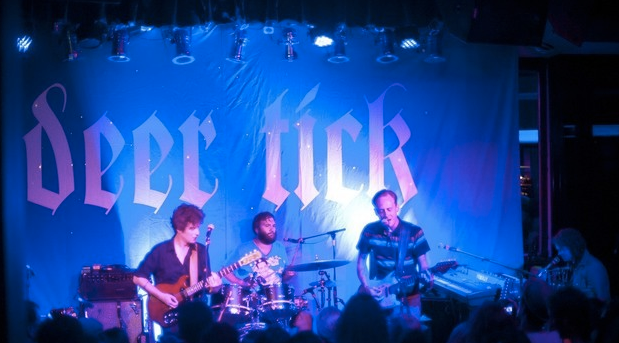 And I didn’t even mention my favorite all time set (Middle Brother 2011) or the legendary Deer Tick after party shows. As great as Galway is this time of year with the collision of the renowned Arts Festival and raucous Race week festivities beginning today, there is one thing Galway was not last weekend: Newport, Rhode Island. 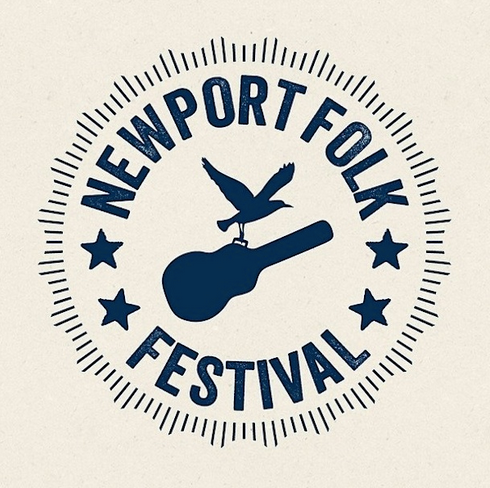 For those who’ve never experienced Newport Folk it’s tough to describe or compare to any other music fest. Thanks to producer Jay Sweet’s never-ending commitment towards one upping himself, year over year the line-up just keeps getting better and better. I laugh when friends make the comment that the fest must be pretty boring if it’s “banjos and hippies strummin’ folk music all weekend.” Tell that to Gary Clark Jr, Jack White or Trombone Shorty. 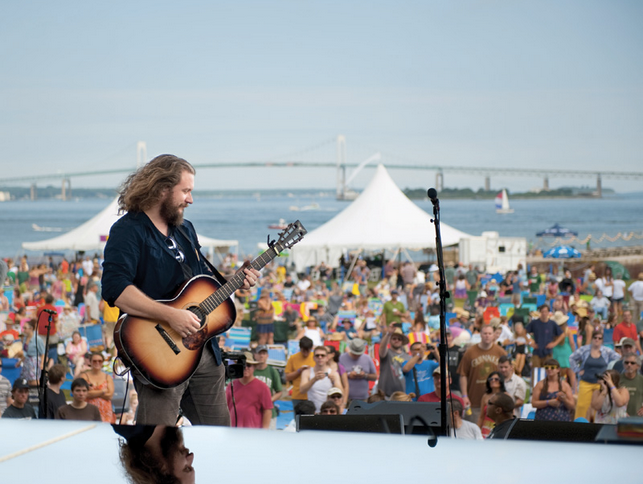 It’s a music lover’s heaven with one-of-a-kind collaborations that take place all across Fort Adams. By all accounts it appears the 2014 edition was one of the best weekends yet in the storied Newport history. Mavis Staples popping up all over the place for her 75th birthday celebrations, Tweedy’s solo project, and yes, more Deer Tick after parties. Mitch Miskified’s Instagram feed says it all: Mitch’s Insta Feed. Thankfully for those off who missed out this year our friends at NPR have a few of the shows available to stream online; this Ryan Adams set sounds pretty damn good! Thank you Newport Folk for reminding me how beautiful the red, white and blue really is. Here’s hoping schedules and stars align and I will be right back where I belong next July, front row with the Folk Family. 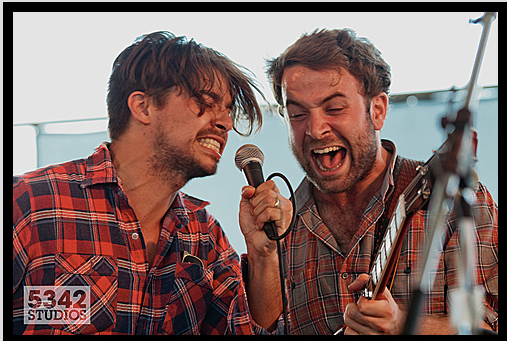 Matt Vasquez and Taylor Goldsmith, Middle Brother 2011. 1) Coachable: no matter if you were a 10X President’s Club award winner at Oracle or fresh out of B School, every company has it’s own process and way of doing things to ensure the best chance at success. Yes bringing bits and pieces from your background that translate is great however showing up day one with an “I got this” mentality is a near guaranteed death sentence. Check your ego at the door and take time to learn from your peers, whether they are in the business two years or 20. The investment will return itself back several times over. 2) Curious: any new sales job can be daunting with how much info the new hire needs to soak in immediately. Product info, market research, competition, customer pain points, the list goes on. You need individuals who have an insatiable interest in continued learning. A new hire of mine just last week brought in a stack of books from his previous gig to share with the new team. New hires that commit to consistent prolonged learning have a distinct advantage on future success over their peers. 3) Competitive: it’s sales. If the recruit doesn’t give off an overwhelming desire to compete during the phone screen how will that person adapt once they are live on the phones? Ask for specific numbers from their previous roles as well to document prior achievement. I’m always shocked when I find a candidate with several years of supposed great success that struggles to tell me what their previous quarterly number was. Since moving to Galway this spring a majority of my time has been focused on recruiting SmartBear’s first international based sales team. Coupled with finding talented reps who meet the above 3 C’s criteria I’ve also fielded the following question quite often: “How are you attracting top inside sales talent in Galway, isn’t the concentration of candidates in Dublin?” On paper it is true that larger major cities like Dublin, London or Amsterdam hold the advantage of having larger populations to pull talent from. For the last several years a lot of the major tech players (Google, Facebook, LinkedIn, Twitter, Hubspot) have chosen Dublin as a preferred choice for their European HQ, which has created a tremendous talent pool. It has also created one that is extremely competitive, where it seems like every week a new hot Silicon Valley company lands in town boasting of millions in recent VC funding and outrageous perks to entice people to join. 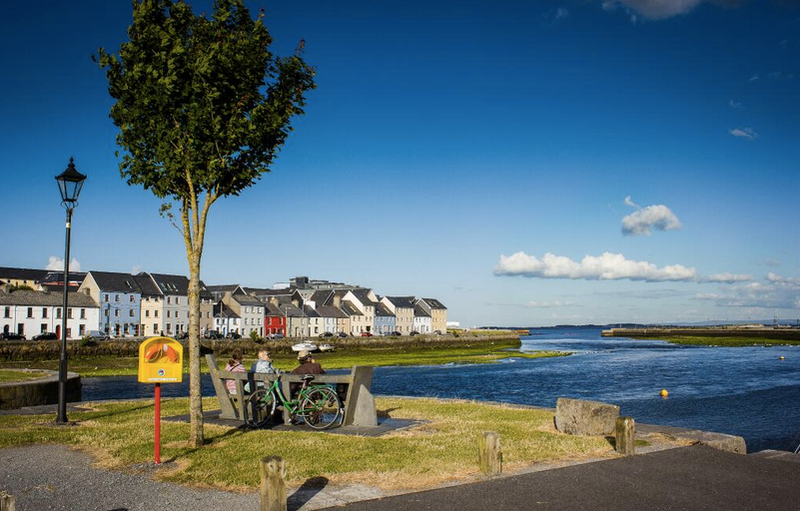 In addition, Galway boasts the unique position of having arguably the best quality of life all across Ireland. Seriously, I’ve yet to meet someone who doesn’t say that Galway is his or her favorite place in Ireland. It hasn’t happened. Take a quick look at my Instagram feed and you will see I’ve been drinking the Galway Kool-Aid since day one. Because of this dynamic there are plenty of native Galwegians living in Dublin at the moment who were career driven and quick to get some great experience on their CV’s and now would love nothing more than to move back west (to my US peeps, convincing someone to move across the country in Ireland is much easier when it’s only a two-hour drive coast to coast).